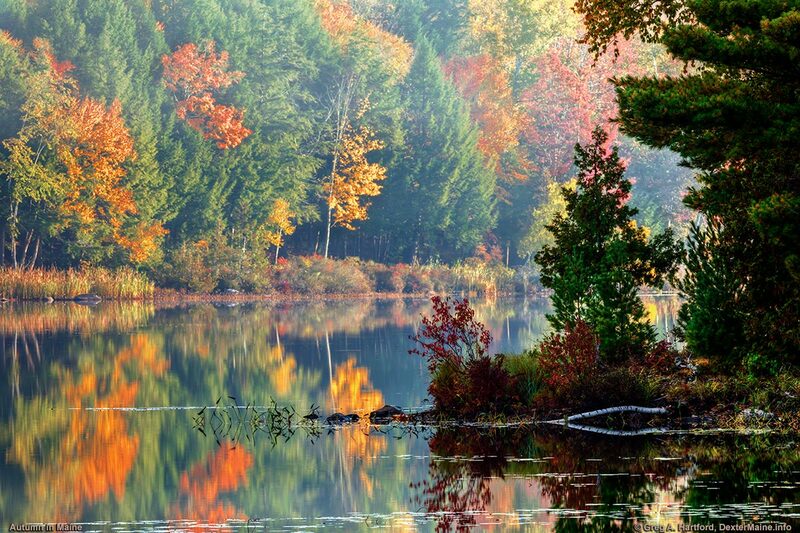 The best autumn colors in the Maine Highlands takes place in mid-October as shown here on Echo Lake, formally called Puffers Pond, in Dexter Maine. This is near Fern Road and the Garland Road. The best images can be realized by using what is called a polarizing filter on a camera that allows the changing of lenses. These filters decrease the scattering of light and reflections from surfaces, thereby deepening colors.